Hope Everyone is doing well. 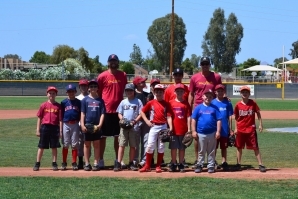 The Catchers clinic last Sunday went very well. It did get warm though, as result I moved the morning clinics up 30 minutes. They will start at 8:00am instead of 8:30. Sorry for any inconvenience. Lead Instruction will be done by former MLB pitcher Matt Kinney. Chad Moeller Baseball shirts are now available. They are great quality shirts and the softest you can find. You won't want to take it off. As seen above on Domingo Ayala. They are available online and at the clinics. Available in three colors. Let me analysis your swing of catching frame by frame and let me show you what needs to be fixed and corrected. You will receive a video back from me showing what needs to be fixed as well as see yourself side by side one of the great hitters in the MLB. 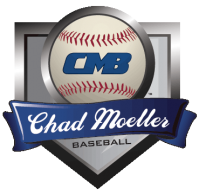 Members of Chad Moeller Baseball gain access to my Hitting and Catching Instructional Videos and drills. These are step by step instructional videos on hitting and catching only members can view these videos. New video released every month or month and half. I have added the first of twelve videos on the mental side of the game with Dr. Ken Revizza sports physiologist. Watch them as often as you like for lesson than $10 per month. Or subscribe for a year and pay just over $6 a month. Ballplayers need to be in shape and one of the best ways to do this is running. How much should you run, how far and how fast? Once again the NY Yankees Strength and Conditioning Coach Dana Cavalea has shared a great running program to have you at your Best.